as if it’s the dog’s fault! How can your dog comply with wishes that are never expressed? How can he understand if you don’t explain to him? How can he know what you want him to do if you never teach him! It really is no use complaining to others what your dog does on a walk, if that’s what you allow him to do. Students of From Wild Puppy to Brilliant Family Dog and From Challenging Dog to Brilliant Family Dog also get the benefit of this full program, along with step-by-step videos so they can get it right fast! There are others, of course. And as long as you’re not using nasty gadgets, horrid collars, slip leads, retractable leads, tightening harnesses, tightening head collars - or any other aversive nasty, you should be ok.
And the system you choose needs to be proactive - that is to say you teach the dog what it is you want, rather than continually correct him for what you don’t want. Yes, that’s quite a lot of thought to impute to the humble dog. But I think you get the gist. If you can teach your dog what you want and give him a choice in the matter, you’ll find things go much more smoothly! AND get the result you want. And it’s not just Loose Lead Walking where you need to give your dog an inkling of what you want, not expect him somehow to divine your desires magically. 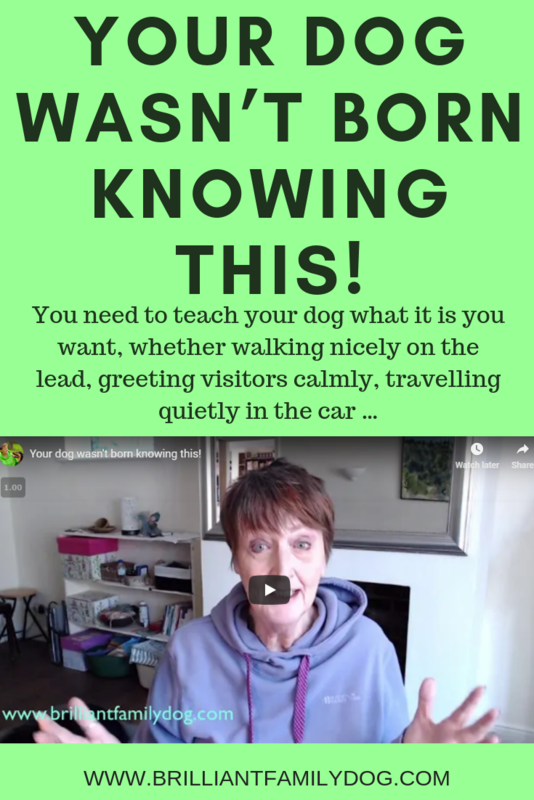 I’m not saying you have to do all those things - they’re just examples of what you may like to actually teach your dog, rather than expect him somehow to know. Once you follow a proven program and teach your dog what you want, you have peace and harmony in the home. You can trust your dog to do what you would like him to do, and he can trust you not to tell him off for breaking secret rules. Of course you don’t do that! You ask, politely, courteously, and ready to hear and respect the response you get. “I can’t right now, I’m in the bath,” doesn’t lead you to a meltdown, any more than “I can’t sit right now, there’s a dog staring at me over there,” should. When it comes to it, we all want a peaceful and loving life with our dog - isn’t that why we got a dog in the first place? Owning a dog is definitely a two-way street. You have to make sure your side of the street is open and has readily-understandable messages flowing down it. Then you’ll be able to hear your dog’s messages and come to an understanding with him. Be sure you’re in conversation with your dog, not being a drill sergeant! Plenty of ideas in this free 8-lesson email course for changing your life with your dog! Make life easy for you and your dog! Jessica blushed and struggled on, hoisting her well-built two-year-old son onto her hip. She didn’t want to have to answer this sensible question. She was exhausted carrying the wriggly heavy child for hours, but she was under the thumb of her partner, who had decreed that no child of his would be put in a pushchair, and that his mother had to carry him whenever he could not walk. Apart from wearing out his mother who had no free hands for anything else, this prevented the child from interacting with his world without parental pressure. It blocked the path of discovery, self-awareness, confidence. This madness extended to the home, where the boy was not allowed to sleep in a cot. The result? Midnight mayhem. Whenever he awoke, Basil would - naturally enough - slide out of bed and start wandering. Naps were impossible if Basil decided he wasn’t sleepy enough. Result: unrested and overtired child - and all parents freeze with apprehension at the thought of that! It’s hard enough bringing up a toddler, without both hands being tied behind your back. Most parents would consider these attitudes lunacy - the result of Jessica’s spouse’s bullying. So why do people do the exact same thing with their dog?! I’m always surprised when I come across resistance to using a crate for a dog. Using a crate for a dog is just the same as using a cot for a child. There’s no question of punishment. The crate is his bed, his own space; it has plenty of toys and chews in it; all meals are fed in it; stuffed food toys are given in it. It’s a haven where he’s safe from other dogs, cats, children, the world. All he has to do in it is r-e-l-a-x. Here you see Coco Poodle relaxing in his much-loved crate. It even has a handle for him to pull to open it when he wants to go in for a break. You should always know exactly where your dog is. If you ask him to go in his crate when you go out, you’ll know that when you come back you’ll be greeted by a smiling, stretching, cool, rested puppy, with no chewed cables or furniture, no upturned bin, and no pee on the floor. Your pleasure at seeing each other will be genuine and untrammelled by recrimination, bad temper, and frustration. Leaving him loose to entertain himself in the house instead of getting his valuable shut-eye, will make you bad-tempered and cross, and your puppy will have NO idea what he’s done wrong - just that you don’t like him and you may be dangerous. This is not the way to create an unbreakable bond with your dog! So why would you resist this simple solution to so many aggravations? Don’t labour on like Jessica did, making housetraining, chewing, and life in general much, much harder. Use the tools that are available to you, just as most parents do with their small children. It’s a puzzle to so many people. 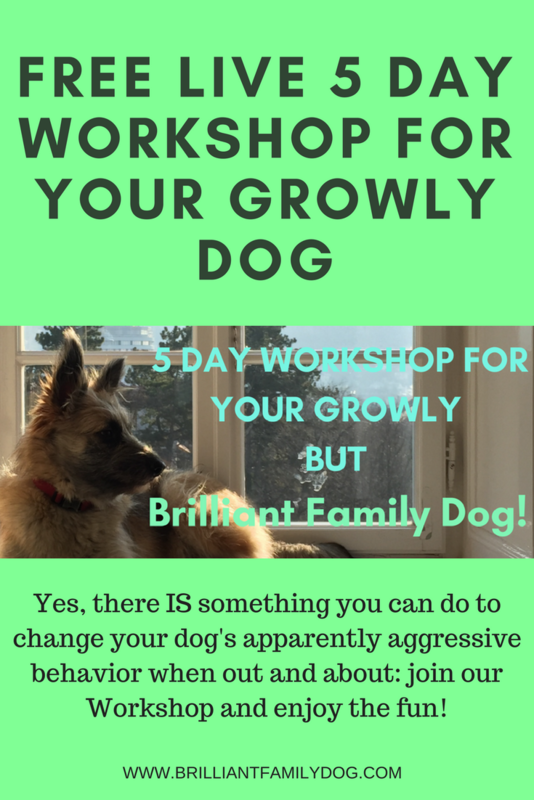 Their dog is easygoing and tranquil, and out of nowhere he snarks at another dog - or snaps at a child - or even growls at you! Maybe your dog is not so easygoing and you have just learned to live with these “random” outbursts. You never know when he’s going to be in a good humour, and when he’s going to have a meltdown. 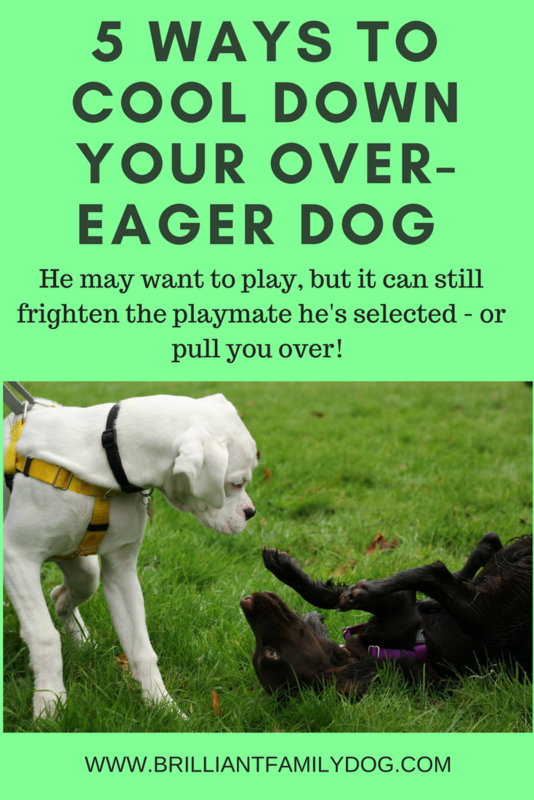 If you’re aware of what’s using up your dog’s patience stores, you’ll be able to manage him so that he doesn’t run out entirely, and be left with no way to go except have an outburst. What you need to learn about is known as Trigger Stacking. And at the moment we have a huge extra trigger that many people simply aren’t aware of. In the UK at the moment we are enjoying (or suffering!) extreme weather. Weeks of temperatures in the high 70s and 80s (that's the high 20s in new money) - we’re not used to it at all! So spare a thought for your dog, who has to wear his full fur coat regardless of the weather. • Check temperature of the ground with your hand. Have you seen people doing the hoppy dance on a hot beach when they have no shoes on? • Don’t leave your dog in a car, even with the windows open, without taking measures to keep it cool. This will include covering all the windows, ensuring a through draught, running an aircon, and - of course - parking in the shade. • Consider a cooling mat for a double-coated breed, or a cooling shirt. A wet t-shirt will work well too, but you need to keep wetting it. Heatstroke in dogs can be quick, and deadly. So please take the precautions above to ensure your dog is protected. But you also need to consider how this heat is impacting his mental state. I’d like you to take a quick detour and bone up on Spoon Theory. This explains so well how limited stores of energy have to be farmed and managed carefully. The same applies for our dogs with their limited store of tolerance. Before you even step out of the door on a hot day, your dog is stressed. He’s already used up a boatload of spoons and may be running critically low. This could apply to the calmer dog as well as the “reactive” or growly dog. You know how quickly you can get annoyed when you're uncomfortable - especially if you're not used to the heat? Think of airport rows and road rage in hot traffic jams. Lots of people will be out and about in holiday mode, with dogs who are only walked on high days and holydays, and everyone will be hot and bothered. So seek out quieter walks, shaded walks - if you can find a place for your dog to swim, so much the better! - and cut out the ball-throwing till the worst of this heat is over. It will be over soon enough, and all us Britishers can go back to talking about the weather in disparaging terms! 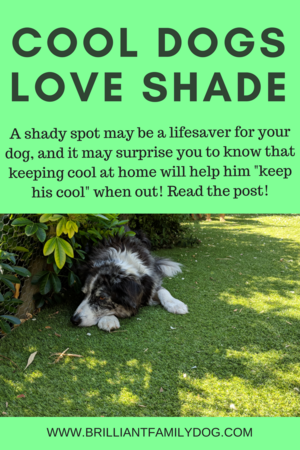 And if you live in a permanently hot place, you’ll have worked out your own ways of keeping your home cool, and strategies to get about outside without boiling. A reader from Texas told me that she can only take her dog out for 20’ at 5 am - after that it’s into the hundreds and impossible. Armed with this knowledge, you can now look at your dog in a different way. Hopefully a more understanding and tolerant way. He’s not being difficult - he’s struggling in circumstances he finds hard at the best of times, and may now be finding impossible. In the greater scheme of things, it really doesn’t matter if your dog doesn’t go for a walk for several days - or even weeks. And contrary to what you may be thinking, you may be surprised to find that your normally hyper dog in fact gets calmer and more manageable, the less he’s walked! Help him by managing his day carefully when outside influences are making it harder for him. He’s relying on you! Edited and reprinted from positively.com with permission. This post hit the spot with thousands of readers when first published, so I thought you might enjoy it. I’ve come across a few instances lately of people actually being pulled off their feet - and in one case rendered unconscious! - when their dog saw another dog approaching and decided he either wanted to play with it, or to dive forwards barking to make it go away. Whether this poor behaviour is from a fear reaction or an over-friendly one, the upshot is much the same. Broken noses are no fun. So, unsurprisingly, the treatment is also similar. I have given you some techniques in It's Not the Dog, It's You to help specifically with fearful dogs. A lot of that information is useful for absolutely any dog, including those who don’t appear fearful. So, keeping those methods in mind, let’s focus here on the super-friendly, over-ebullient dog who is determined to have a party with every dog or person he sees. Picture the scene: owner is happily walking along the road, with dog on lead. Dog spots another dog! Hallelujah! Dog stands up on hind legs squealing with excitement before plunging forward with shrieks and barks towards the other dog. It’s no use waiting till this is happening to try and change things. A knee-jerk response is not likely to do anything at all to help. Everything that needs to be changed has to be done beforehand, at home, in your kitchen, just you and your dog. So let’s have a look now at what we can do to change this, before any more bones are broken. If your dog is wearing a collar, then this is giving him terrific power to haul you along. Think where the collar goes on a horse in harness - right over the shoulders. Using the strongest part of a quadruped’s body - the rear legs and haunches - the horse or the dog can get great traction, to shift that heavy cart, or to pull you face down on the road. When a dog is straining into a collar and tight lead, his body language is distorted. His eagerness can appear aggressive - this sends the wrong message to the object of his attentions. The stress on the throat can also cause physical damage - and in the first place it'll serve only to wind your dog up more! Pulling backwards against this power is fruitless. At best you’ll have an undignified retreat with you hauling your dog backwards, screaming. The dog will be screaming - but you may be too by this stage! You need to teach your dog to respond to the lead, and turn of his own volition. Instead of a ten-ton block of frantic barking and scrabbling paws, you get a quizzical look from your dog as he turns and trots towards you. Really! One that attaches front and back will be the most effective. Good ones have an almost magical effect on even the most determined pullers. The harness needs to be comfortable to wear. I would not use a headcollar for a “frustrated greeter” which is who we’re talking about here. If your dog is fighting to get the thing off his nose (most dogs hate them, unless slowly and carefully acclimatised) this is going to increase his level of frustration till he may possibly lash out (“redirect”) onto the nearest leg or hand. That would be your leg or hand. Ouch. For your dog to walk close to you, keeping his nose level with your leg, he has to focus and concentrate. It’s not something that your dog will learn overnight - it runs counter to his natural desire to weave and run all over the place. The best force-free trainers make this exercise a game which the dog enjoys playing. Trying to frogmarch your dog along on a tight lead while yapping commands at him is not fun at all, for either of you! 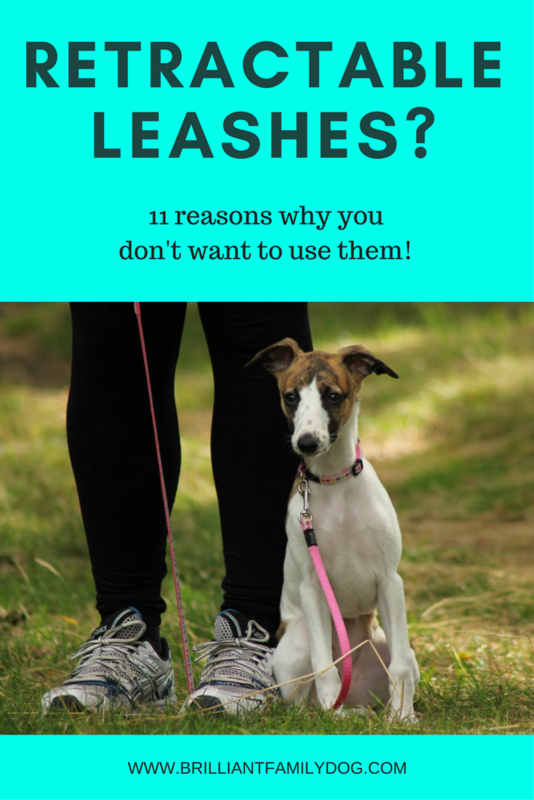 The key is to have the lead loose, so that your dog can make a free choice where to walk. 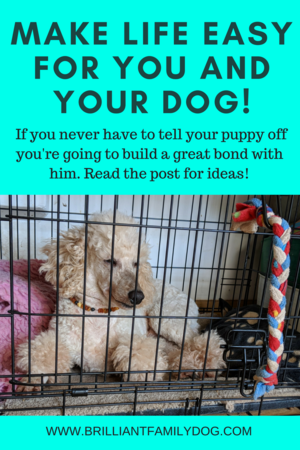 This may seem counter-intuitive to you, but it really does work very well when you’re in partnership with your dog as opposed to being his prison guard. Once you have this skill, you can ask for this circus trick of trotting beside you, looking at you, when you need to distract your dog. If your history of rewarding him is great enough, he’ll be happy to oblige. We all have to learn impulse control. As children we have to learn to fit into society by containing our impulses and being able to wait patiently. This ability to delay gratification has been proven to be an indicator of a high achiever. Your dog can be a high achiever too! See Leave It! How to teach Amazing Impulse Control to your Brilliant Family Dog for a teaching method. Once he understands this skill, waiting politely should become his default behaviour - there’s no need to keep telling him to “leave it”. If you do this for me, then I’ll do that for you, aka the Premack Principle. If, as a child, I demanded something I wanted, The Adult would say “What’s the magic word?” Asking for it again, but adding “please” this time, had the desired effect. Your dog’s equivalent of the magic word can be a Sit, or Eye Contact, or just plain Silence! So when he starts agitating about something he wants, you can ask him “What do you think you should do now?” Wait for him to stop belly-aching and give you a sit, or look at you, or stop whingeing, then you can give him what he wants. Don’t tell him what to do - let him work it out! You probably already do this when you offer a treat - your dog may only get it if he sits. So extend it now - to everything your dog wants! Before long, seeing the person or dog in the street will be a cue to your dog to focus on you to ask for permission to greet. You may or may not give this permission, of course, but you can certainly reward his polite asking. How much further away? 20 yards? 40 yards? 100 yards? Whatever it takes! When he’s able to focus and engage in rational conversation with you, then maybe - just maybe - he’ll be able to hold it all together while he gets closer to the object of his desire. He can’t? Then he doesn’t get any closer. You can see that these five suggestions have a common thread: giving control back to your dog. I don’t want to spend the rest of my days trying to control my dogs (or my children): I want them to control themselves! Nothing is as frustrating as feeling you are a helpless victim who is not heard or heeded. Empowering your dog by giving him strategies to get what he wants leads to a happy co-existence which you can both enjoy. come along to our free 5-Day Video Mini-Course and blow your mind! www.goodfordogs.co.uk/products I supply the Wiggles Wags and Whiskers Freedom Harness in the UK and Europe. If you buy from me I will benefit, but you won’t pay any more! 2houndsdesign.com for the rest of the world. It’s Not the Dog, It’s You! Compliance depends upon consistency, not just marshmallows!